Actually, it doesn’t. What it does do, as is later admitted by Griffin, is explicitly prohibit the States from issuing bills of credit, which was intended to mean — and still does mean — paper currency. First of all, I don’t accept the definition of fiat money as money without any precious metal backing — usually defined only as gold and silver. 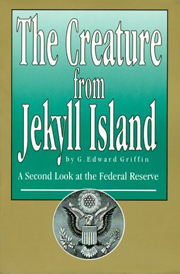 Fiat is Latin for “let it be done,” and as a result, gold and silver can also be fiat money, whenever, by law, they are assigned a value different from their market value, as was the case with the first Coinage Act of 1792, which Griffin references. While bills of credit — that is, paper money — are examples of fiat money, they don’t account for the totality of fiat money. Other examples of fiat money include state credit that is issued by a book entry, as the Bank of North Dakota does. This credit is a debt that functions as money. In order to disprove the claim that the Constitution prohibits both the states and federal government from issuing fiat money, all one has to do is show that one of them isn’t prohibited from issuing fiat money, and I have done just that. 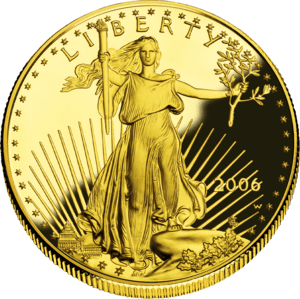 For my other articles on what the Constitution really says about money and currency, see The U.S. Constitution doesn’t say money should be gold or silver coin, and The Constitution doesn’t insist on a gold or silver-backed currency. In some cases, those responses are justified, since the Constitution doesn’t say money should be gold or silver coin. 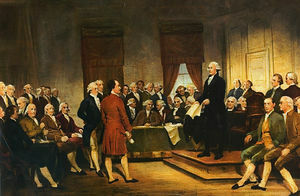 Article I, Section 8 of the Constitution grants Congress the power “To coin Money,” but nowhere is the word “money” defined in the Constitution. The Coinage Act of 1792 provided for the coining of copper, in addition to gold and silver, and made those coins lawful tender, showing that something other than gold and silver were coined as money by Congress during the era of the Founding Fathers. 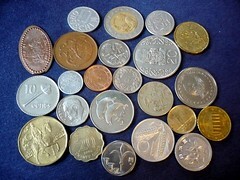 Some cite Article I, Section 10 to claim the Constitution says money should be gold or silver coin. But that is a restriction on the individual States of what they can make legal tender, and not a requirement that they make gold and silver coin legal tender. In the same section is the restriction which prohibits the States from coining money, so the only money that can be coined by government is by Congress, and includes more than just gold and silver. For more misconceptions about gold and silver in the Constitution, please read The Constitution doesn’t insist on a gold or silver-backed currency.